Although we were told for years that fat is bad, we were not told the whole story. Trans-fats, like the kind found in vegetable oils and margarine are indeed ‘bad’ for you. However, healthy fats are vital to your body as it cannot function properly without them. Not only are the healthy fats of avocados, nuts, and seeds critical to cell life, they also provide our bodies with improved immune systems and help prevent most diseases including Alzheimer’s, diabetes, arthritis, heart disease, and even cancer. Considering our health habits, you might find it difficult to get those healthy fats into your daily diet. Worry not, as we have a tasty and easy way to do exactly that: Smoothies! What better way to get things going than a healthy smoothie in the morning, especially one that is loaded with healthy fats? Sounds delish, right? Keep reading as we have some terrific recipes to help get you started! If you need a blender check here. This smoothie is all about the heart. We put a bunch of barriers and healthy fats. Greens are important too so add plenty of fresh baby spinach since it is full of lutein, folate, potassium, and fiber. Use dandelion greens or kale to increase the amount of calcium. 8 Ounces of filtered water. Start by adding the liquid to your blender, followed by the soft fruit. Add the greens to your blender last. Blend on high for 30 seconds or until the smoothie is creamy. 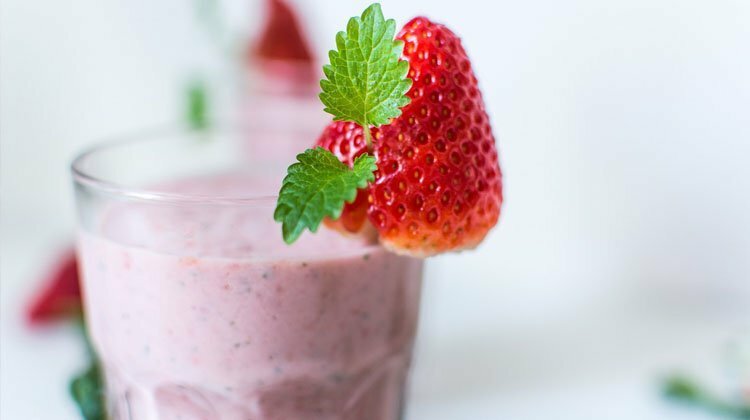 This recipe makes a large 32-ounce meal-replacement smoothie. Drinking half right away and the other half about 30 minutes later. A great choice for mornings when you want to get ample nutrition in but leave calories out. This smoothie is super cleansing as well. To make blending easier, add the kale leaf in your blender first and pulse for a few seconds, then add the ingredients in the order given. Blend until very smooth. Makes one 12 ounce serving. If available, use wild blueberries for this for added nutrition and energy. If you can’t get them, no worries, frozen blueberries or fresh ones that you have frozen will work just as well. ½ Scoop of plant based protein powder (optional). Put everything in the blender or food processor and blend until completely smooth and creamy. Add a dash of stevia if that is something you do, to bring the taste to your liking.